Meet ECLA’s Intern from Germany!! All Access Studio Tour Event! 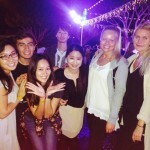 Meet ECLA’s Interns from Japan! !